Record crisp video in complete darkness for distances of up to 7.5 meters. 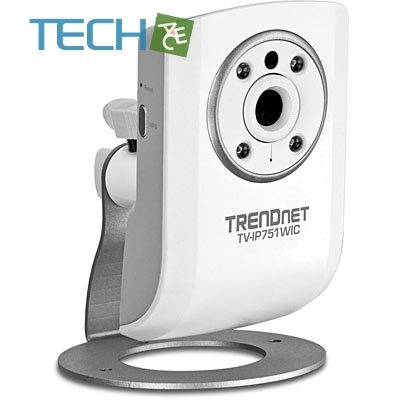 Wireless n technology connects the camera to a wireless network and provides unsurpassed wireless coverage and improved streaming video quality. 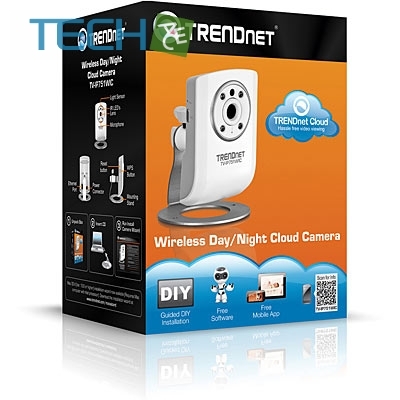 Add this camera to your wireless network at the touch of a button with Wi-Fi Protected Setup (WPS). The TV-IP751WIC offers 640 x 480 (VGA) video at up to 20 frames per second (fps), one-way audio, motion detection recording, scheduled recordings, email alerts, date and time overlay, and four times digital zoom. 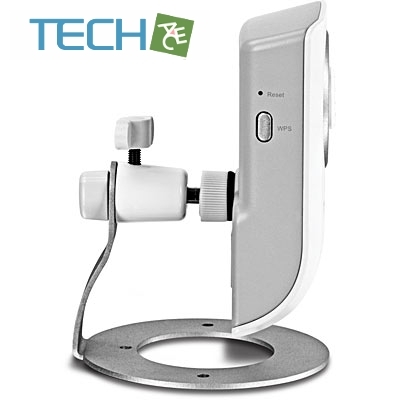 A wall / ceiling mounting kit is included and the camera’s off white housing blends into most environments. 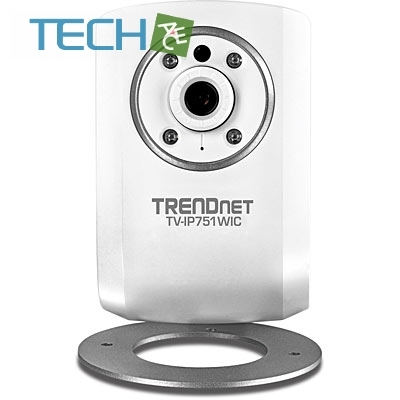 Users can either control each TRENDnet camera individually or can use the free included enterprise class SecurView Pro software to manage up to 32 cameras. 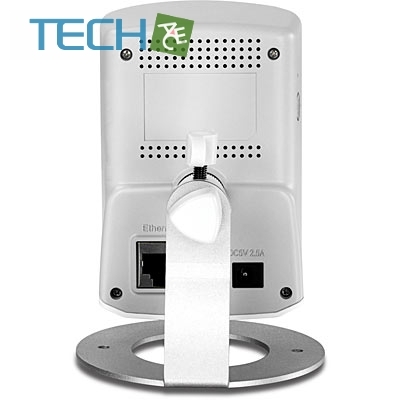 SecurView Pro is compatible with Windows and Microsoft Server operating systems and supports all current TRENDnet cameras. SecurView Pro provides users with extensive camera viewing options. Users can define a combination of weekly recording schedules and motion detection recording; program motion detection areas of any shape; set date, time, and text overlays; and define mask overlays to conceal sensitive areas. Zero loss architecture provides the ability to record a single video stream to multiple locations simultaneously. Manage recorded files by time or by storage space. A navigation timeline of stored video provides a quick visual reference of recorded content.